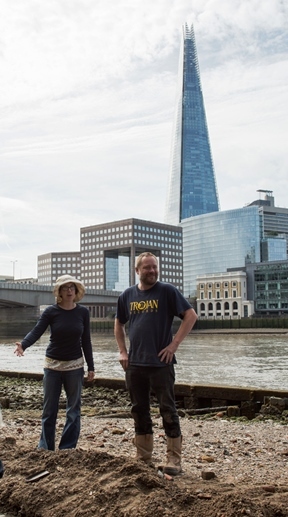 Thames Discovery Programme - Festive Greetings 2015! The TDP team is off on leave until 4th January 2016, so we’d like to wish you all a very happy Christmas and best wishes for the New Year. 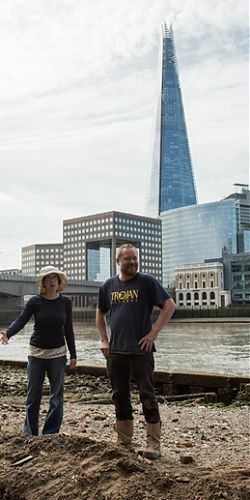 We’ve had an exciting and busy 2015 – with over 50 guided walks, 15 public lectures, four workshops, FROG training at Greenwich and fieldwork at Isleworth, the Isle of Dogs, Cannon Street and Rotherhithe, and lots of public events with Historic Royal Palaces, Totally Thames, the National Maritime Museum and Big Fish Little Fish amongst others. You can find out more about this year’s work by checking out the ‘Storify’ from our recent Foreshore Forum at the Society of Antiquaries here. The CITiZAN project, recording and monitoring coastal archaeology all around England, has been successfully launched and has been nominated for a Current Archaeology Award for Best Rescue Dig. We’d like to say a huge THANK YOU to all our Foreshore Recording and Observation Group members, project partners and supporters for another great year – and watch this space for some exciting announcements coming up in 2016…..!